Highlights from the forum included the opening dinner hosted by the Honorable Gary Locke at the US Embassy. The evening’s menu was curated by the renowned chef Alice Waters who worked with local purveyors and farms to create a menu that celebrated both American and Chinese culinary traditions. The remaining Forum activities took place at two of Beijing’s most breathtaking architectural venues the National Museum and the National Center for the Performing Arts (also known as the “Egg”.) In the panel Growing Up In Two Worlds, Yo-Yo Ma, Amy Tan and the Asia Society’s US-China Center’s director, Orville Schell, discussed the artists multicultural upbringing and its effect on artistic development. Ms. Tan noted that this duality forced you to “find what things you believe about yourself” against the backdrop of differing cultural identities. This contrast allowed both artists to build a richer personal narrative and modes of expression. In the session On Film and Performing: The Actors’ Perspectives, internationally acclaimed actors Liu Ye, Meryl Streep and Ge You discussed their careers. While each artist rose to prominence differently, they all shared a great respect for the craft’s ability to connect and provide a cathartic window for audiences. Through performance one “can break from moral or legal constraints, express [oneself] in ways that [one] wouldn’t dare otherwise” expressed Liu Ye. On the evening of November 18, Forum participants and guests filled the National Concert Hall at the Egg for A Musical Dialogue, starring Yo-Yo Ma. This wasn’t a concert “where people simply sit down and are entertained,” said Damian Woetzel, director of the Aspen Institute Arts Program, who directed the program with the goal of creating an interactive performance that fully engaged the audience. From Memphis jooker, Lil Buck, and musician Wu Tong performing amidst the audience to Woetzel leading the entire house through an opening excerpt of Balanchine’s Serenade, the performance celebrated friendship, collaboration and risk-taking. Many of the evening’s artists performed together for the first time, including a duet of words and music between Yo-Yo Ma and Meryl Streep. Closing the Forum was an exclusive pre-release viewing of Ms. Streep’s Iron Lady followed by a discussion with the actress. The US-China Forum of the Arts and Culture aims to continue convening noted American and Chinese artists to share cultural perspectives and foster mutual respect. 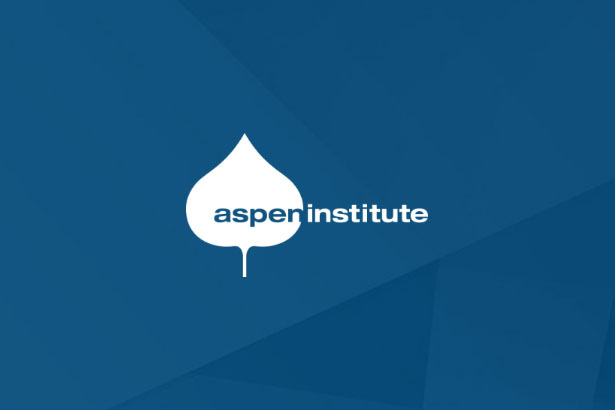 Look for a Forum delegation at this year’s Aspen Ideas Festival, with additional events to follow in China and the United States.